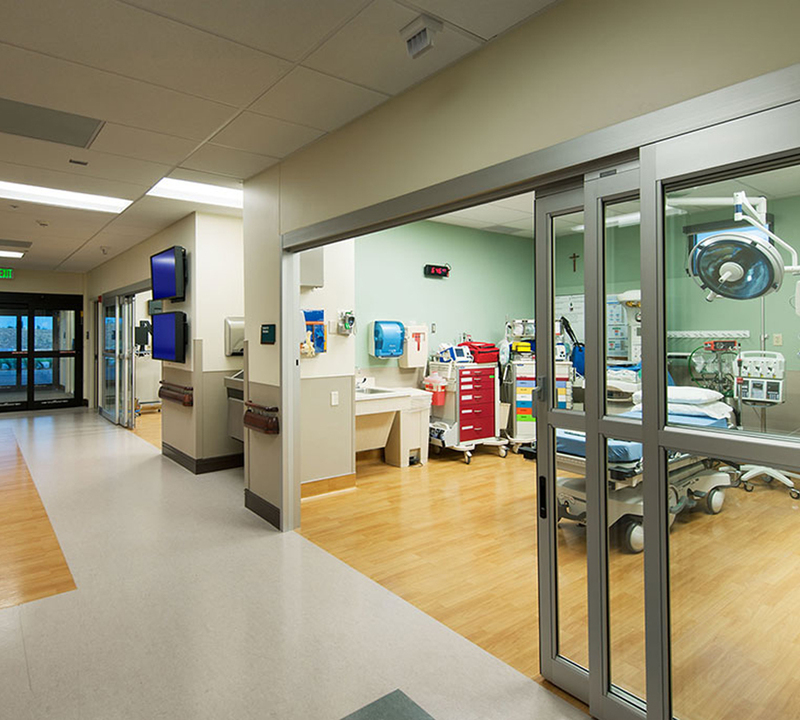 The emergency department and imaging suite encompasses the entire 1st floor space of 23,864 SF. The entire 1st floor carries I-2 occupancy with a 2-hr separation from the remainder of the medical office building spaces. The ED-Imaging space was built to hospital standards. The Emergency Department includes two completely outfitted trauma rooms, 14 exam rooms, and four discharge rooms. There are two nurse stations, pharmacy, lab and two of the exam rooms are designed to accommodate psych patients. Low voltage systems include CCTV, paging, access control, nurse call, and patient tracking systems. A Helipad is onsite to transport critical patients.